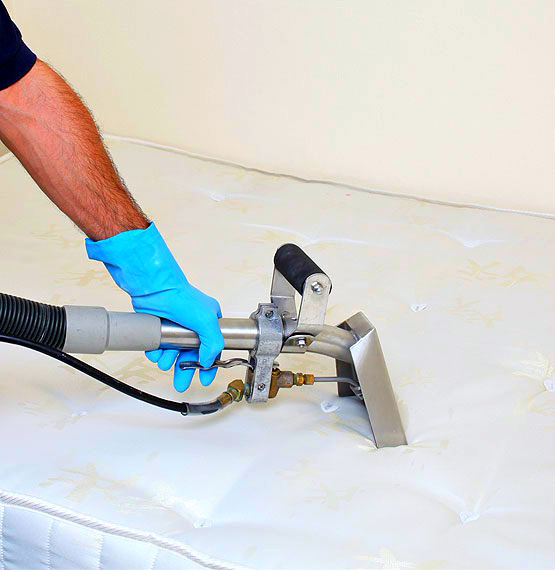 Why Have Your Mattress Professionally Cleaned? Nobody wants to think about what might live in their bed but the unfortunate truth is that all beds attract dust mites and other nasties that can cause allergies and a selection of other health problems. Our mattress cleaning service can improve allergy’s and your quality of sleep. So What Does Live In Your Mattress? Your body sheds dead skin cells and loses moisture throughout the night. This creates the perfect breeding environment for bacteria and dust mites to grow unchecked. They feed on dead skin cells and have been known to reach numbers of up to 2 million in a standard double mattress. Your pillow and duvet can become over-run and it only takes 4 months for a mattress to become infested. People can become allergic to proteins in the mites and mite faeces. Asthmatic reactions, as well as eczema, watery eyes, sinus infections, sore throats, have all been linked back to dust mite allergy. You can find out more here, but be warned before you open any videos……it’s not pretty! Firstly, we use a concentrated ultraviolet light to sterilize your mattress, duvet, and pillows. We then use a machine which penetrates deep into the mattress removing and trapping virtually 100% of what it collects without allowing it to become airborne again. To follow up we apply an antibacterial spray and odour neutraliser. Get 20 % off this service when you buy online.